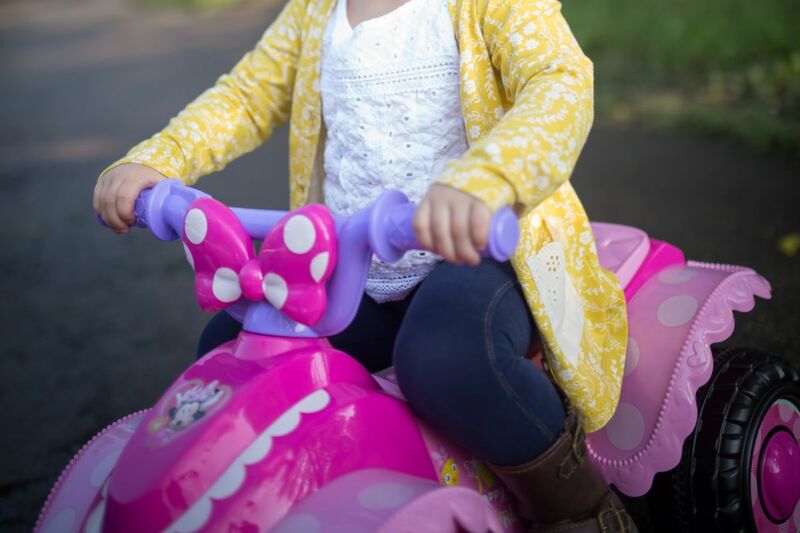 Join Minnie for some four-wheeled fun with the 6-Volt Disney Minnie Mouse Happy Helpers Toddler Quad by Kid Trax! Your child can cruise the driveway or backyard in true Minnie style thanks to loads of delightful design features, including a light-up bow and Minnie’s signature polka dots. 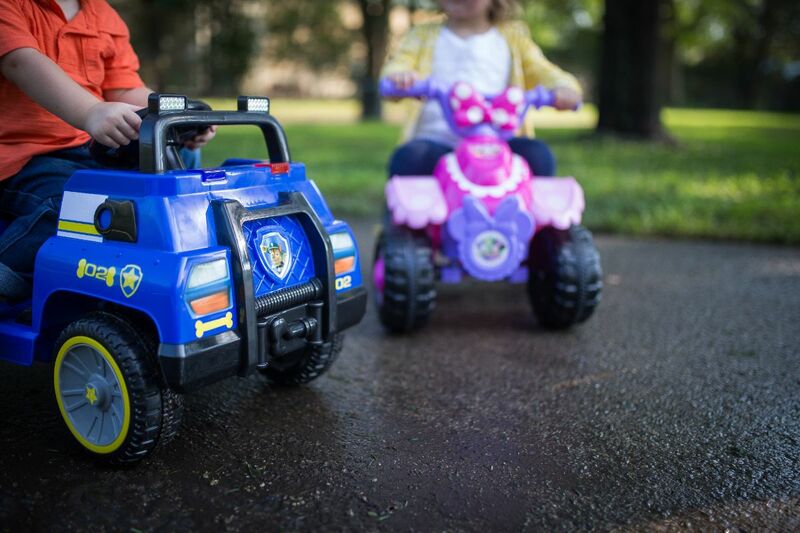 The intuitive foot pedal drive system is easy for little ones to operate, and with a maximum forward speed of 2 MPH, it’s the perfect balance of fun and safety. Plus, the Power Trax™ rubber traction strips keep the ride smooth and steady. 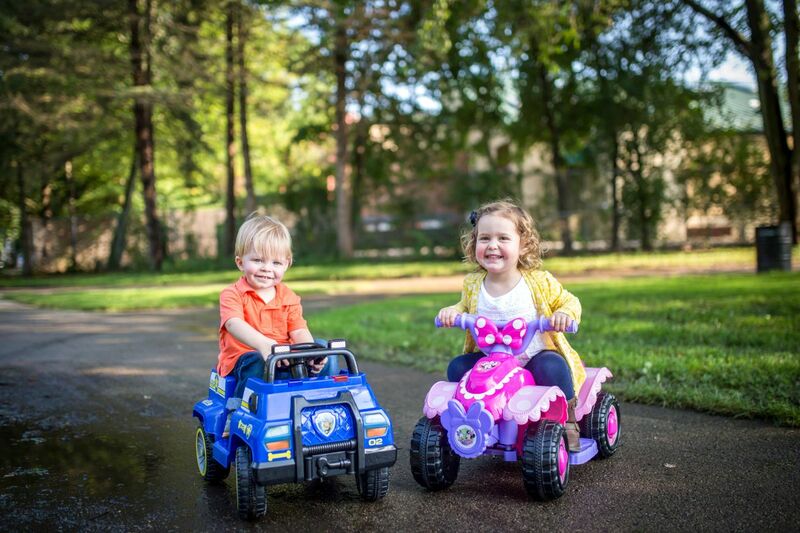 The 6-volt rechargeable battery and included wall changer ensure the fun never has to stop for long. Recommended for toddlers 18 – 30 months, 44 lbs. maximum. Exciting and magical Disney adventures await with the 6-Volt Disney Minnie Mouse Happy Helpers Toddler Quad by Kid Trax! Delightful Mini Mouse design features a light-up bow and her signature polka-dots. Easy foot pedal drive system is simple for little ones to operate. 2 MPH maximum forward speed. Power Trax™ rubber traction strips keep the ride smooth and steady. 6-volt rechargeable battery and wall charger included. Recommended for toddlers 18 – 30 months, 44 lbs. maximum. No assembly required.